Abstract: This tutorial provides step-by-step instructions to create a Client Mobile Application using HTML5 Builder, and deploy the app to Android. This tutorial provides step-by-step instructions to create a Client Mobile Application using HTML5 Builder, and deploy the app to Android. A Client Mobile application is a mobile application based on client-side web technologies and specially designed for mobile devices. Unlike server mobile applications, client mobile application do not have to rely on a web server to work, and you can run them on devices without an Internet connection. You can still deploy them to a web server, as any other mobile application, for distribution purposes. You can create a new client mobile application from Home > New > HTML5 Builder Projects > Client Mobile Application. Your new project will then be created with an empty client mobile page (unit1.js), which will be opened on the Design view. 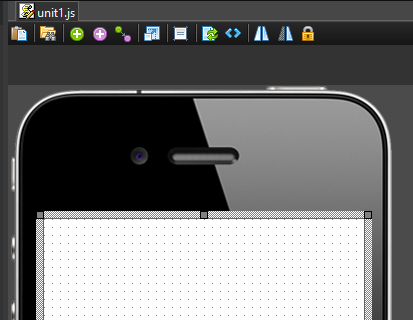 The first step in creating a client mobile application with HTML5 Builder is designing the user interface. There are many components available by default for creating user interfaces. Move your cursor over to the Tool Palette (the widget in the top-right corner) and expand the Mobile category by clicking the plus (+) icon. Then select the MEdit component and drop it onto the Mobile Designer. An instance of the component will be displayed on the Mobile Designer. 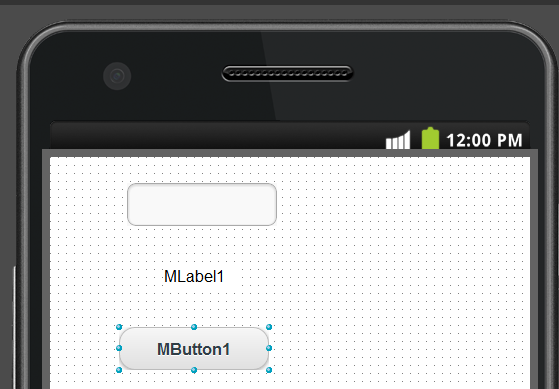 Repeat these steps for adding the MLabel and MButton components onto the Mobile Designer. Next, visually change the Caption for the MButton component. You can leave the MLabel’s Caption and MEdit’s Text properties empty, since the former will be defined programmatically, and the latter will be entered by the users. You must also change MButton’s ButtonType property to btNormal, so clicking on the button won’t result in the webpage being reloaded. To change a property of a component, select the component on the Mobile Designer (or the drop-down list in the top of the Object Inspector), change the value of the target property and press Enter to apply the change. 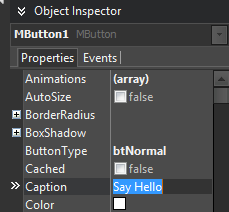 In the screenshot above, MButton’s Caption property was changed to "Say Hello", and ButtonType to btNormal. You can deploy your application to any major mobile system as a native application from Home > Deploy to Mobile. 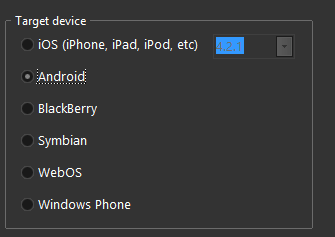 Supported platforms are iOS, Android, BlackBerry, Windows Phone, Symbian, and WebOS. For this example, we will deploy to Android. 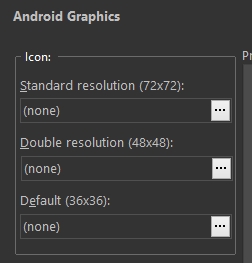 Select your Android Graphics. For this example, we'll keep the defaults. 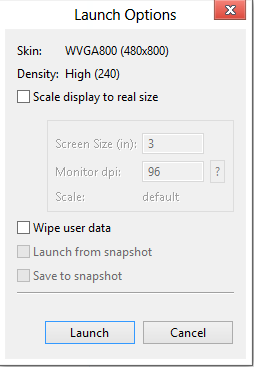 Select "Debug" for the Target Destination. 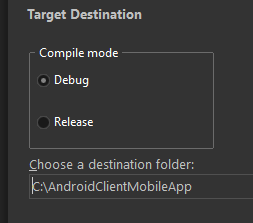 Select a destination folder for the generated Android Java files. The Android files get created. NOTE: If your Android Development Environemnt is not configured correctly, you will get a screen like this letting you know which Required Programs cannot be locked or need to be installed. 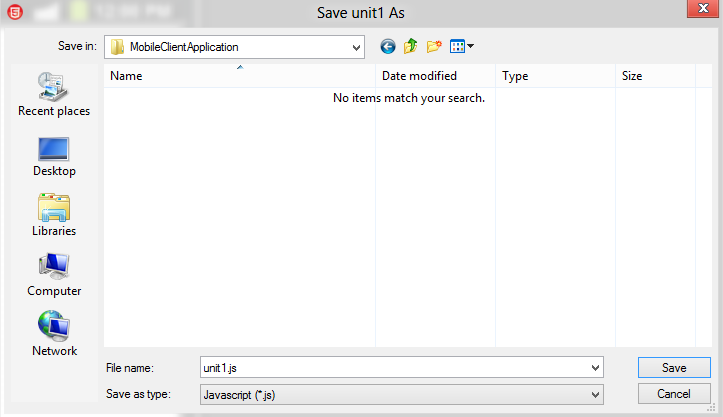 Here we see my JAVA_HOME is not set to a valid JDK location. 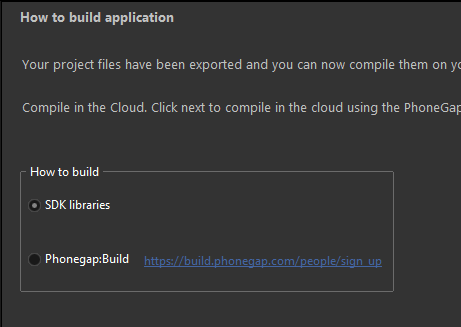 Here you have the choice to build using your local SDK or use PhonegapBuild on the internet. 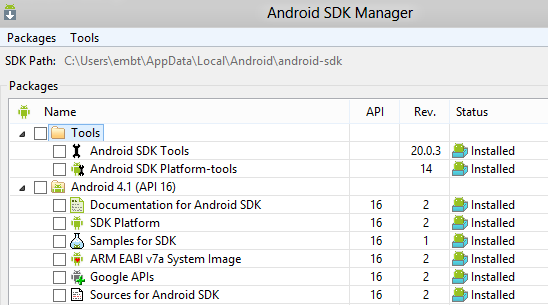 For this example, we will use our local SDK libraries. NOTE: If your Emulator is not already started, please start it now, else it's possible the HTML5 Builder deploy will TIME-OUT, before the Emulator starts. Select the Android41API16. Click Start. 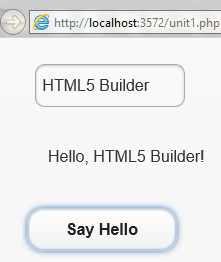 Now, in HTML5 Builder. Click NEXT on the Run your App page.